Mobile payments are increasing in a wide range of businesses. Mobile trends continue to change technology as it has always been known. In addition to mobile applications, online payments and other technology-driven processes, mobile point of sale systems are emerging as well. Visual Retail Plus’ Mobile POS for Android allows retailers to approach customers directly on the sale floor with quick scans, pricing information and inventory answers. Using several gateways allows the retailer to stay with their processor letting, customers bypass lines, increasing customer satisfaction with quick, efficient checkout practices. The mobile system also allows users to check inventory levels on the sales floor, making filling shelves and answering customer questions easier than ever before. With quick descriptions of products, both users and customers will gain a better understanding of a store, increasing chances of them becoming a returning customer. 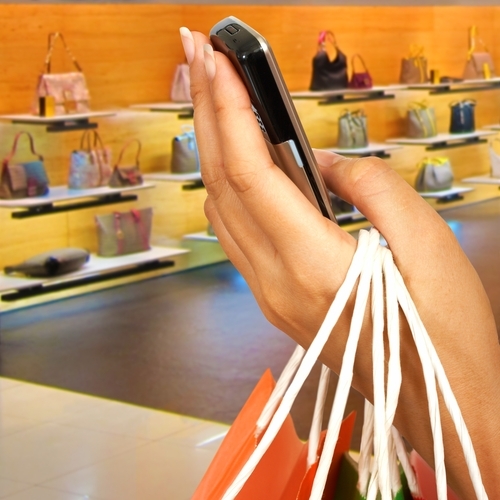 How else are mobile features changing the point of sale market? Instant reward: Retailers are able to send deals and sales right to a customer’s phone, increasing their chance of viewing and using the information in the future. With a new avenue of customer interaction and sale points, mobile is a great path to business success. Mobile payments: Paying on a mobile device allows customers to skip the line and interact with a seller on a more intimate level. With salespeople dispersed on the sales floor, ready to check out customers or help with any other issues, customer satisfaction remains at the forefront of importance. One of the biggest changes and challenges to POS systems is security and that is where Visual Retail Plus comes in. By being PCI compliant, capable of sending violation reports and picking up on pattern behavior, VRP gives both businesses and customers the security they need to continue shopping again and again. Learn more about our available products on our website.